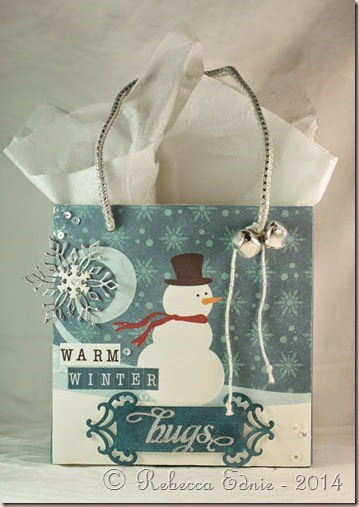 Such a beautiful gift bag Rebecca! and yes, I too always hoard stuff like that, I have lots of bits and bobs saved, 'just in case' LOL! I love you little baggie, it's so decorative that I would probably pop it on my dresser just to set the Christmas tone! thank you so much for playing along with us!